You’ve probably heard that in the not-too-distant future, the United States will become a “majority-minority” country—that is, the majority of the population will be made up of non-Hispanic whites. According to the U.S. Census Bureau, a milestone in that demographic trend has been reached: for the first time, babies born to mothers of racial or ethnic minorities combined to outnumber those born to whites. The nation’s under-age-five population is also nearing the tipping point, with 49.7 percent belonging to minority groups. The populations of several states—California, Hawaii, New Mexico, and Texas—and of the District of Columbia are already majority-minority. Overall, non-Hispanic whites remain 63.4 percent of the U.S. population. 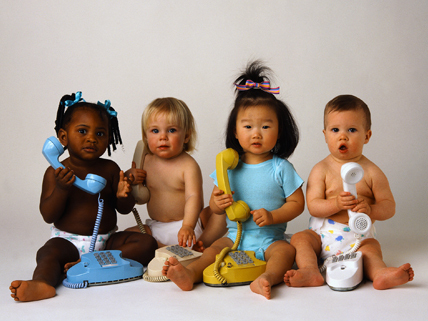 · minority populations are younger on average than whites, and therefore more likely to be having children. With non-Hispanic whites having been the majority throughout the nation’s history, this change represents a facelift in U.S. demography; however, it has been long anticipated. When the non-Hispanic white population of America is no longer a majority—projections put this sometime between 2042 and 2050—whites will still be the largest minority. But by that time, the very concept of what constitutes “white” in America may have evolved beyond recognition. Read about the demographic milestone in America’s slow evolution into a racially and ethnically diverse nation. This website explores the demographics of age, fertility, marital status, and more; includes a graph showing U.S. fertility rates by race and ethnicity. This opinion piece explores the problematic aspects of minority versus majority identity in 21st-century America while recounting the history of shifting Census Bureau definitions pertaining to race. There is an error in the article. America always has had a non-Hispanic white majority population. You should have stated that this will soon come to an end.